Official Selection-Hot Docs, 2010. Winner Director's Choice Award - Ricon International Film Festival 2010. Official Selection - NZ International Film Fest. 2010. Official selection - Documentary Channel (U.S) Premiere documentaries of 2010. The amazing true story of David Klein, inventor of one of America's most iconic candies - the jellybelly jellybean. 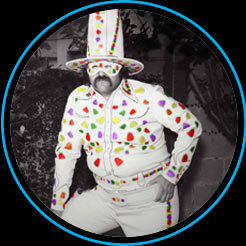 Revealing both sides of the American dream, the film explores this colourful eccentric genius and his bittersweet adventures in the world of candy.